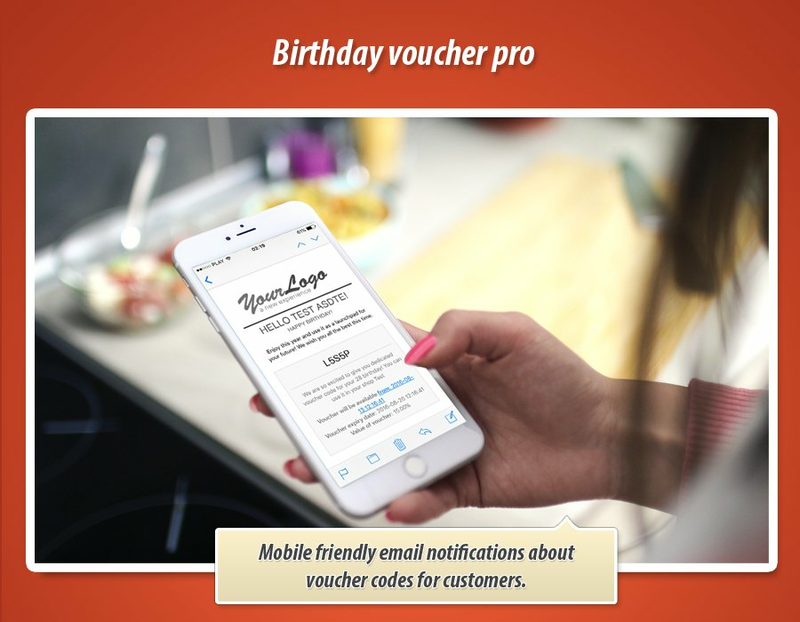 Birthday coupon module so-called Birthday voucher pro is a marketing tool that allows to send dedicated unique discount codes for customers that have a birthday. This plugin has advanced personalization of the voucher codes where you can define each aspect of the coupon. It is the most advanced tool available at the moment. 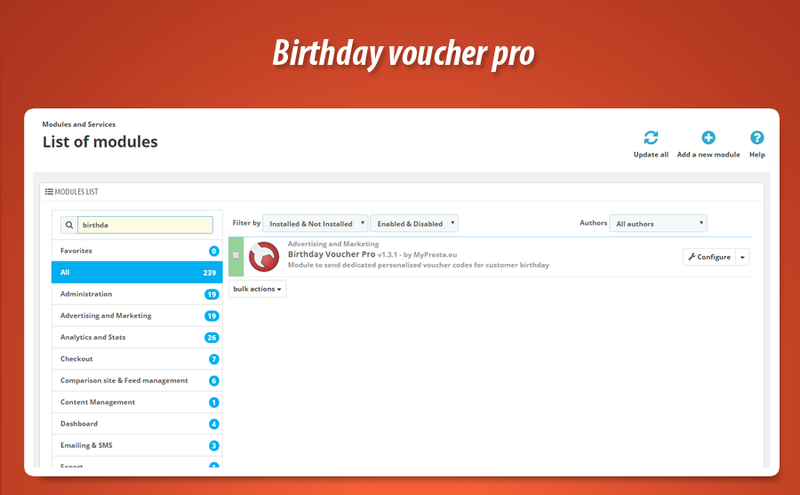 This birthday voucher pro addon for PrestaShop is most advanced happy birthday coupon module. 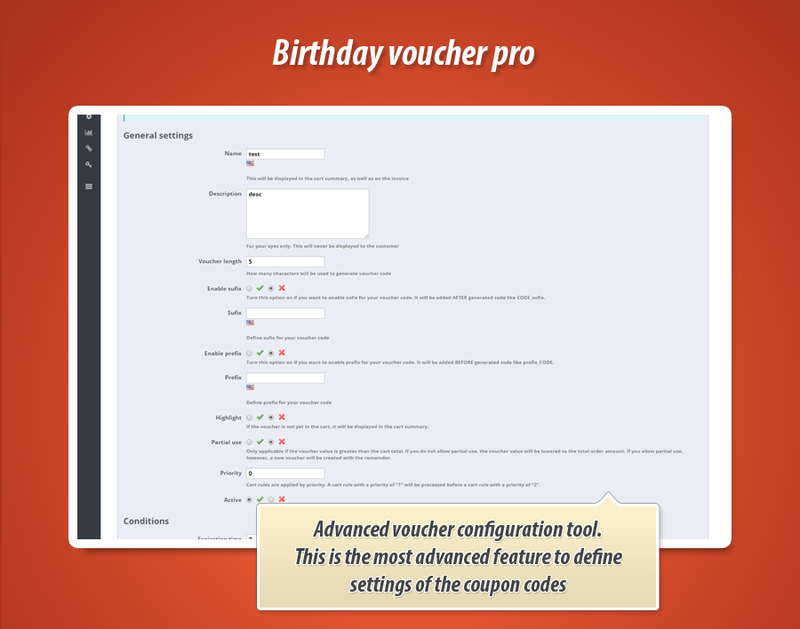 Plugin contains advanced voucher configuration tool that allows to define coupon code with very detailed settings. 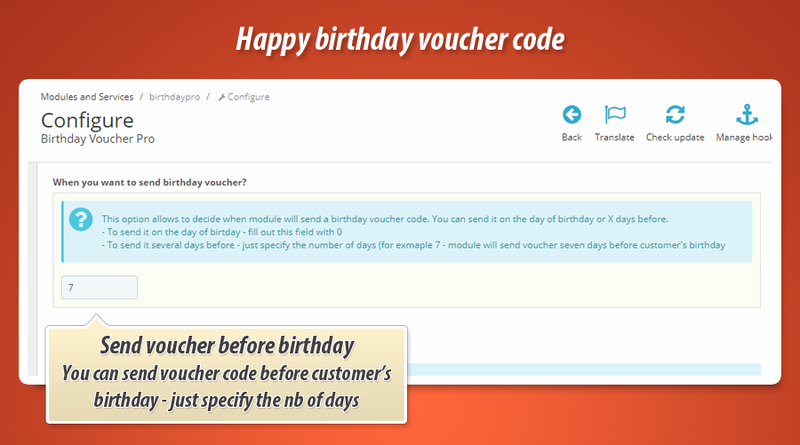 Module sends one coupon per year for each customer birthday. You can define template of email that module will send. Below you can find details about voucher configuration tool. 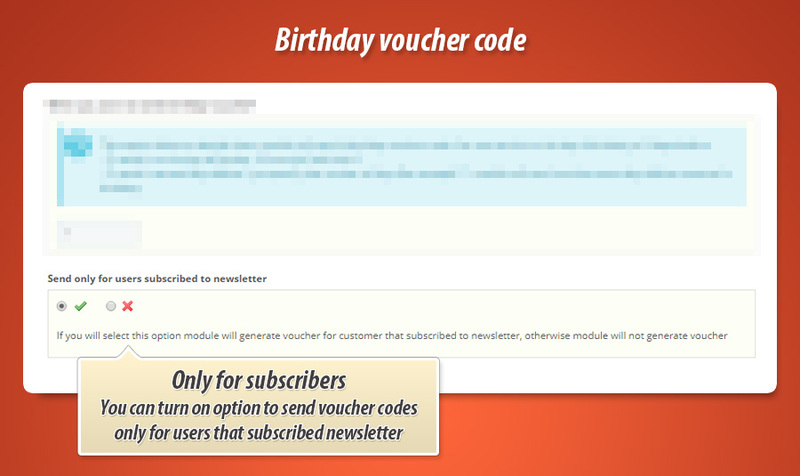 Module allows to define groups of customers allowed to receive dedicated birthday coupon code. 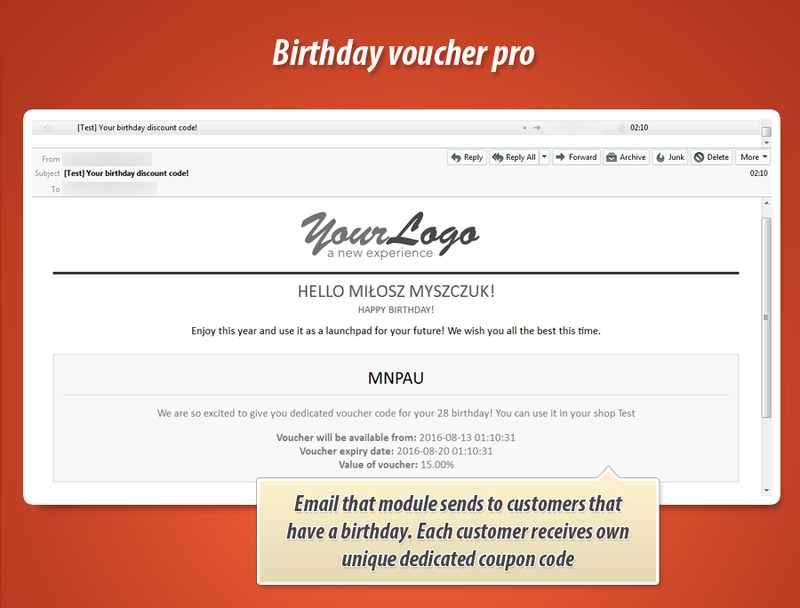 Module has feature to generate and send birthday voucher code for customers that are associated with specific group(s) of customers or to customers that subscribed to your shop's newsletter feature. As you already know - this plugin has advanced voucher configuration tool. This is the most advanced feature to define voucher code settings in modules. 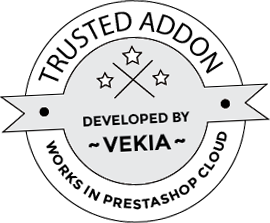 So, as a shop owner you can define detailed specification of voucher code. You can do it on module configuration page. Options available in this tool you can find below. How this module sends coupon codes?